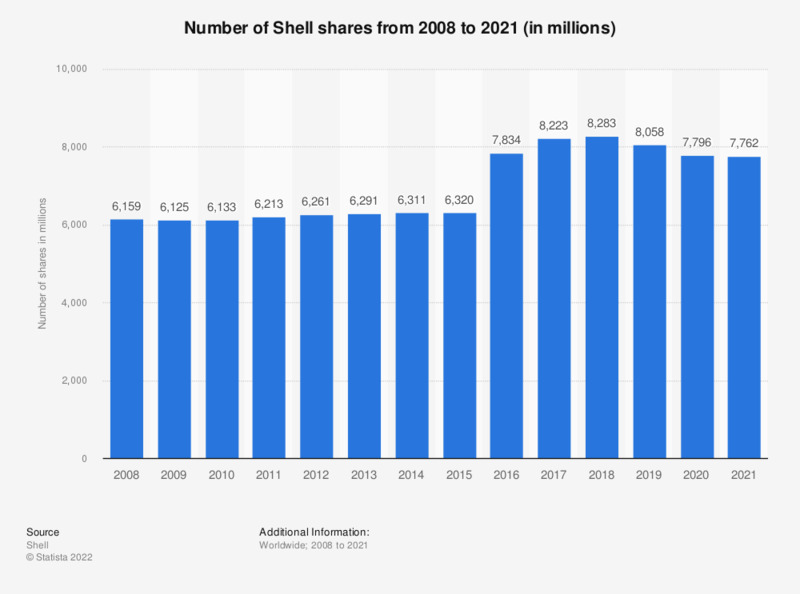 This statistic shows the number of Royal Dutch Shell shares available from 2008 through to 2018. In 2018, there were some 8.28 billion A and B shares. Royal Dutch Shell is one of the top oil and gas companies worldwide, operating in every segment of the oil and gas industry. The company is headquartered in the Hague, Netherlands. * Basic weighted average number of A and B shares. Figures are rounded to the nearest whole number.